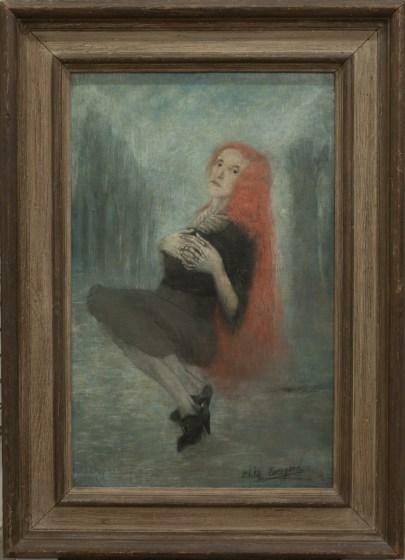 This portrait is a memorial to Philip Evergood's mother, Flora, who died on March 10, 1927, shortly after her son began this portrait. As he later remembered, "My mother was dying of cancer in a little room on Lexington Avenue. I was sitting talking to her in the window, and I looked at her face and I said, 'Mother, I've never seen anyone with such beautiful eyes....I'd like to paint you.' So she walked over to her little couch-bed, lay down, and crossed her hands over the pain, as she often did, and I got out my paints and went to work." 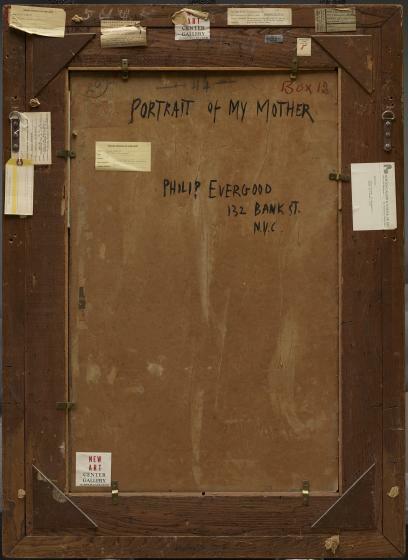 Evergood completed the face and hair before his mother's death. Over the next nineteen years, while he became an important—and sometimes controversial—social protest artist, he completed it, adding the high-heeled shoes Flora Evergood enjoyed wearing. William Keyse Rudolph, DMA label text, 2005. 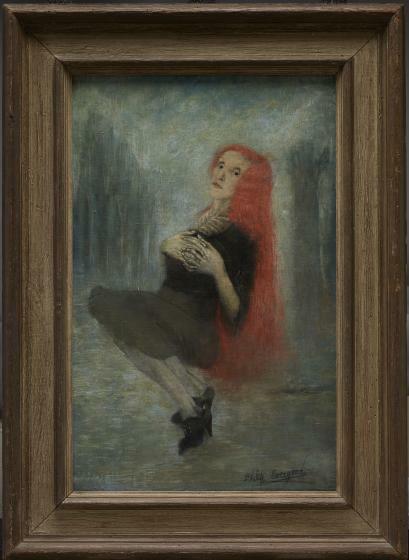 Learn more about the artist at the Smithsonian American Art Museum.